Wooden square -$3.00 - UBS-DM-221. Anti Squid, Rubber Backed Deluxe Quality Coir Door Mat. 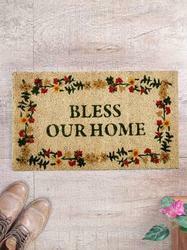 Owing to our extensive market experience, we are able to offer excellent quality Printed Coir Doormat. We have carved a niche amongst the most trusted names in this business, engaged in offering a comprehensive range of Coir Door Mat. Coir Rope Mats, well known as Lover’s Knot mats are made by guiding hard spun coir rope through nails projected on a wooden surface in a definite order. These are available in OVAL, OBLONG & RECTANGULAR SHAPES in Natural, Bleached, Dyed and Fancy Shades. • Light weight coir matting moulded into a rubber body in attractive designs. • Flat weave coir surface ensures excellent scraping and absorption. We are recognized as the prominent organization of optimum quality Flower Pop Coir Doormat. 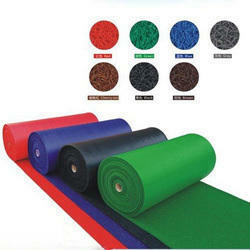 We are highly acknowledged organization engaged in presenting a remarkable range of Rubber Coir Mat. Our range of coir mats has enticing floral designs and splendid patterns, which provide elegant touch to the interiors.